As part of our goal in promoting Indonesian cuisine, we are introducing a new weekly culinary experience called; Savoury Sundays. We will be serving a lunch box of different kinds of Indonesian dishes at Nusa Cafe every Sunday. 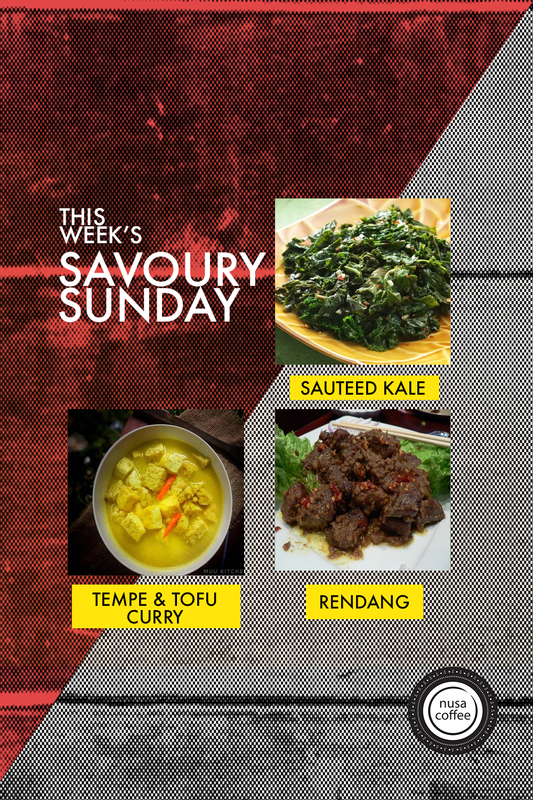 This week’s menu consist of Sauteed Kale, Rendang, and Tempe & Tofu Curry! If you want to reserve this lunch set (due to limited quantity) just drop an email to omar@nusacoffeecompany.com with your name and quantity.